Each year, JONES works alongside West’s in-house communications team to develop 12-15 complete campaigns and content packages — all of which include downloadable marketing reports, 3-5 corresponding blog posts, a thought leadership article placement, and social media content — to drive prospects to the company’ website with an inbound marketing strategy. In fact, in just one 4-month period, these campaigns generated nearly a thousand marketing qualified leads and more than $115,000 in closed deals — more than double the investment in their contract with JONES for the same timeframe, with even more deals in the pipeline as the campaigns continue to generate leads for months to come. Let’s take a closer look at just how it all comes together. Step 1: Collect data to create backbone for all content. The grouping of campaign content packages all stem from two market feedback surveys, painstakingly written and executed with the intent of providing compelling data for these campaigns. Together, the surveys designed and executed by JONES — one consumer survey and one industry survey — provide a wealth of information to fuel marketing strategies and content creation for West. See more of how West and JONES have leveraged this concept in our Big Think: Expanding Thought Leadership showpiece. Step 2: Write abstracts and nail down specific campaign themes. With survey results in hand and following a detailed analysis of those results to seek out story lines and useful data, JONES develops about two dozen abstracts that have potential to become complete content marketing campaigns for West. Next, we work with West to select 12-15 abstracts to serve as the focus for the year’s marketing campaigns, each to be fleshed out to reach audiences through multiple channels. Step 3: Create downloadable marketing papers (reports). At the core of inbound marketing is the use of online offers — in this case, downloadable marketing papers — gated behind landing pages in order to capture lead information. 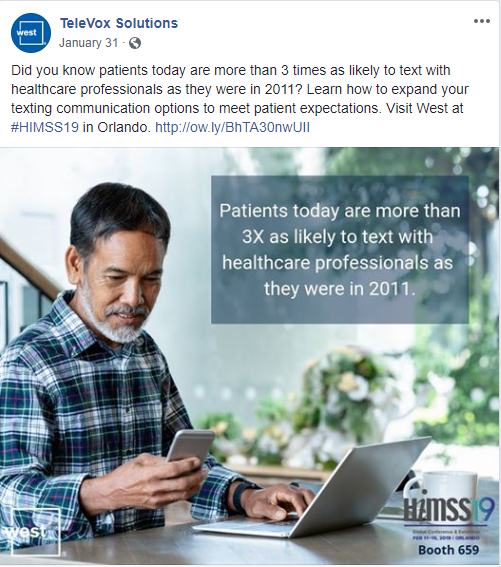 Each campaign is built around an in-depth marketing paper on the campaign’s key topic, for example, texting as a communication link between patients and providers. 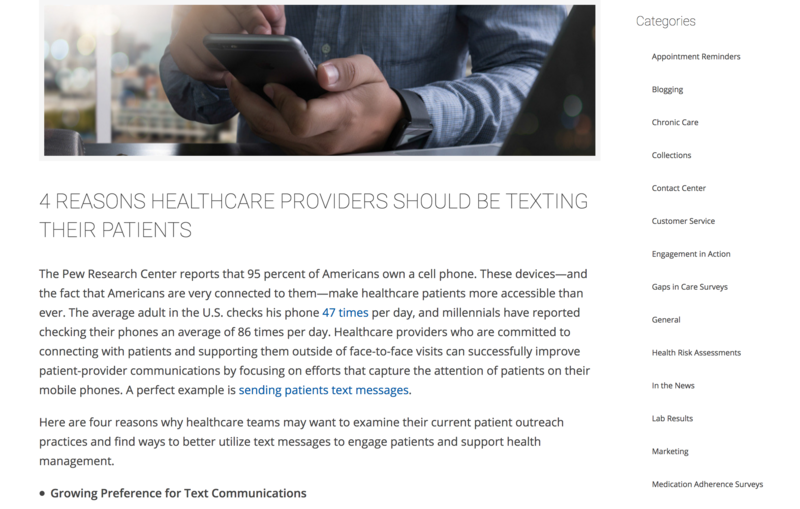 JONES writes the text for each of the marketing papers, along with developing infographics to be used both in the papers and in other channels such as social media, blog posts and thought leadership articles. Step 4: Write and publish blog posts and social media to promote reports. Along with writing the text of the marketing paper, the JONES team also develops 3-5 corresponding blog posts, each highlighting one segment of the overall paper. 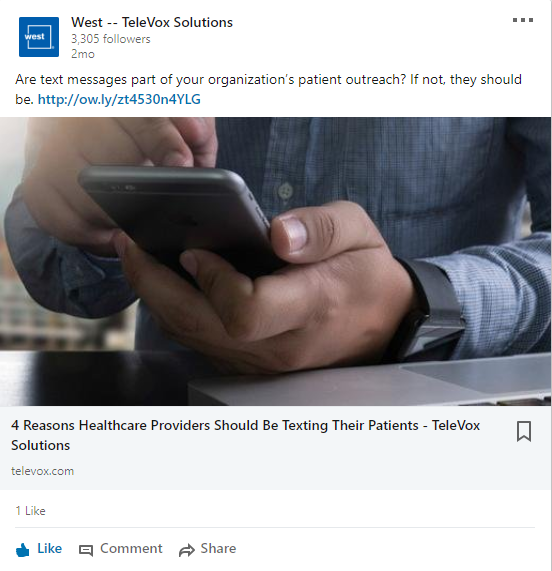 These blog posts provide searchable content on West’s website, boosting traffic and providing additional opportunities to link visitors to the landing page for the marketing paper. 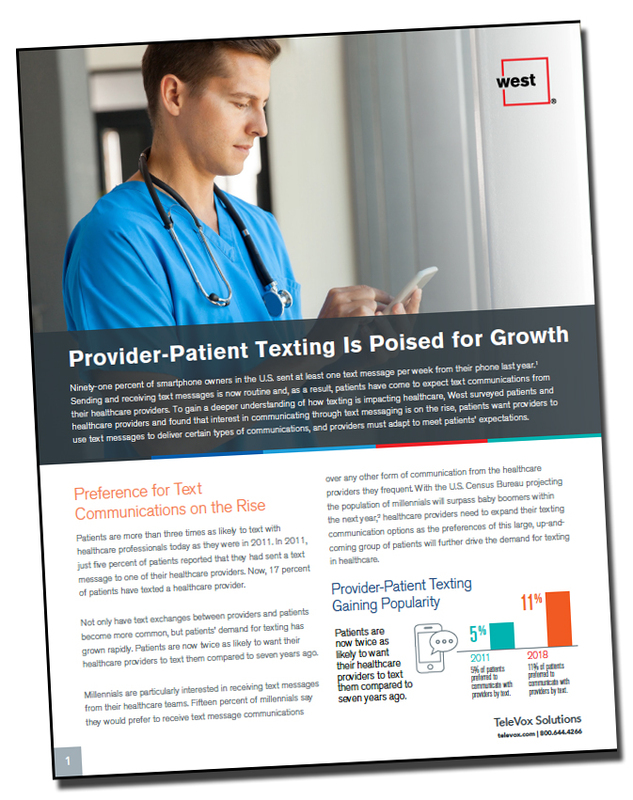 Here’s an example of a blog post that corresponds with “Provider-Patient Texting Is Poised for Growth” marketing paper. You’ll see it is enhanced by the use of images, such as infographics, that provide easy to digest information and capture reader interest. 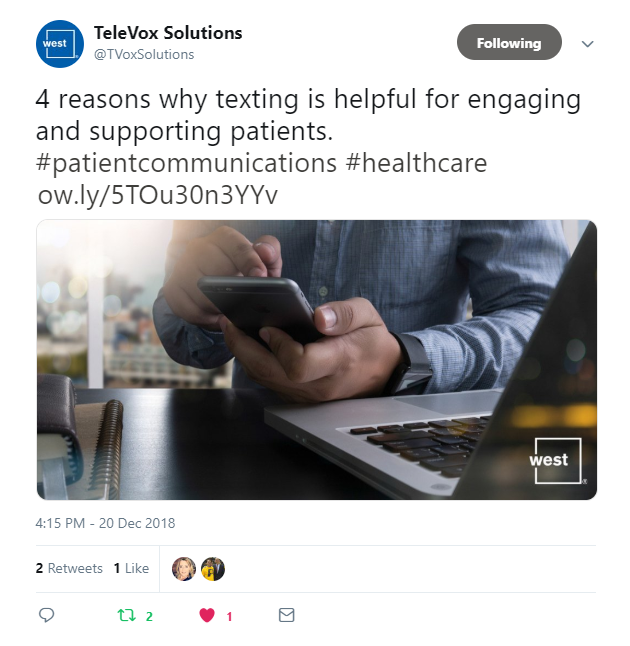 These same infographics are repurposed from the marketing paper to provide attention-grabbing images for use in social media. Another component of the content packages JONES completed for West was a social media strategy for promoting both the marketing paper and the blog posts that link to it. In addition to writing the marketing paper and corresponding blog posts, the JONES team writes several dozen posts to promote each campaign on LinkedIn, Facebook and Twitter, driving even more visitors to West’s website. By creating all of these pieces together, JONES and West ensure each campaign component shares the same key messages and complements one another, for a seamless overall strategy. Step 5: Pitch and publish thought leadership articles. While providing quality content through owned channels — blog posts, social media, and email — is an important element in earning trust from prospects, leads and customers, many decision makers still rely heavily on gathering information from sources they consider unbiased. That makes earned media just as important in helping to share important information and in building a strong reputation as a leader in your industry. 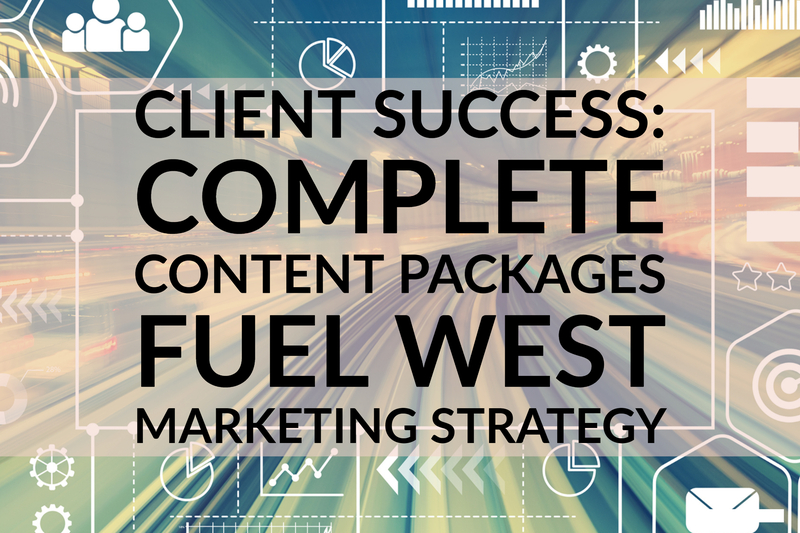 West embraces this approach and works with JONES to include at least one thought leadership article placement for each of its marketing campaigns, an approach that ensures PR and marketing are aligned. You’ll find a detailed Q&A about the process of pitching contributed articles with Scott Muff, JONES partner in charge of media relations and digital media, here. 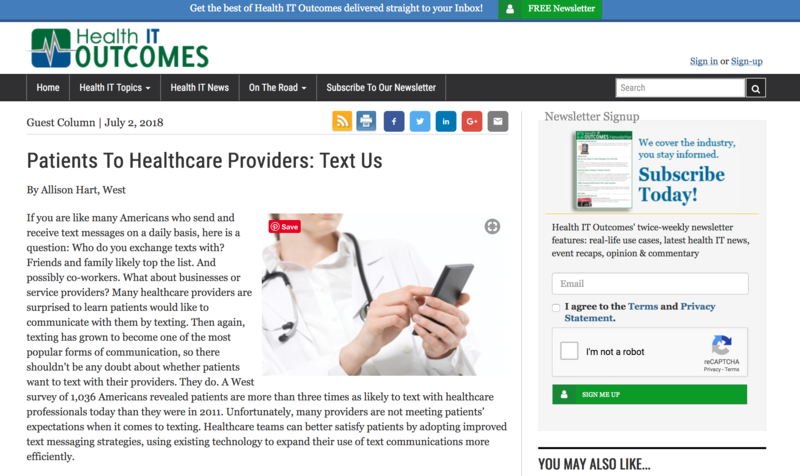 Here’s an example of an article JONES placed and wrote for West, which was published by Health IT Outcomes. This article corresponds with the report, blog posts and social media updates shown above. And, of course, both JONES and West shared the article on their own social media networks. 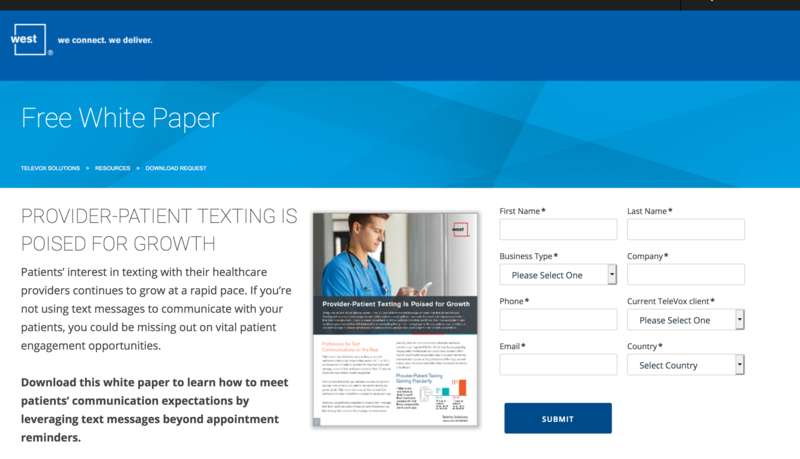 Step 6: Capture leads when they access the marketing paper. As I noted back in Step 2, it is by gating the full content of the marketing paper that West can capture leads through the website when visitors fill out the form on a landing page in order to download the paper. Each of the other pieces of the content package is created with a goal of driving readers back to the website to download the paper. 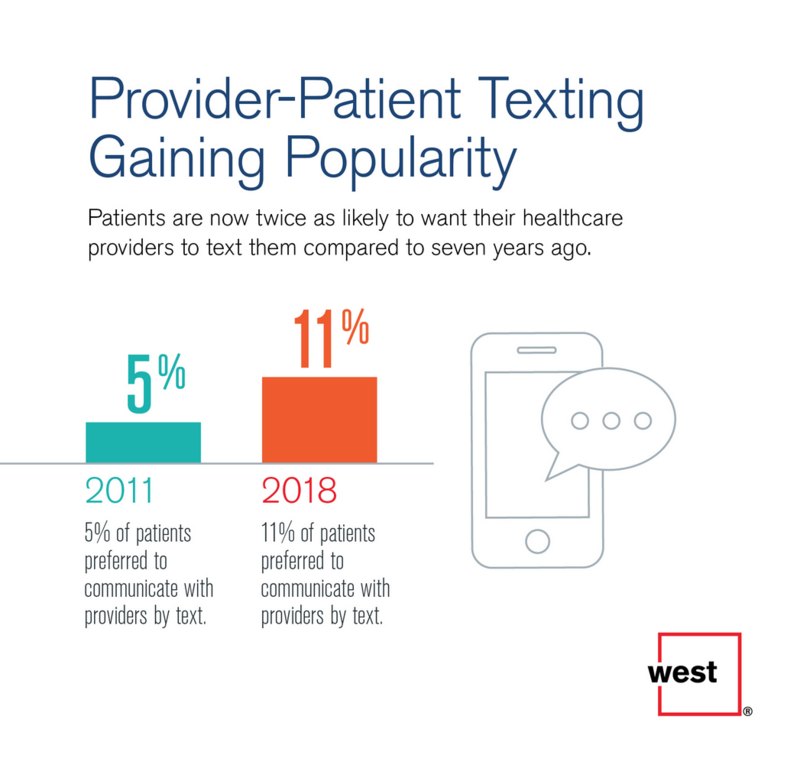 This whitepaper alone has been downloaded more than 500 times since its publication, providing West with an active pipeline of new leads. Step 7: Follow up with leads through nurturing and direct contacts to close deals. Once website visitors (aka prospects) complete the landing page form to download the marketing paper, they are converted into leads, with their contact information added to an automated lead nurturing system. That nurturing system provides a way of establishing additional connections with the lead, sending them additional related information and offers that could help in guiding purchase decisions. At the same time, information about the lead is being collected—what paper they downloaded, which website pages they have visited, what organization they are with, how many employees it includes, and where it is located. This information is compiled to be passed on to sales to create a smoother transition when the lead is ready to talk directly with someone about the solutions West has to offer. Step 8: Provide sales with data, infographics and blog post to use in contacts with prospects and leads. The information gathered and content developed through this process isn’t only used for top-of-the-funnel brand awareness efforts, but is also passed along to the sales team to be used in direct communication with prospects from other channels and with inbound leads. Blog posts may be sent to prospects by email, with the statistics and infographics providing important supporting arguments for sales presentations, proposals and other materials, further increasing the ROI. Review another example of a complete inbound marketing program—from downloadable asset through lead nurturing emails—with our Creating A Winning Inbound Marketing Program sample. Or chat with us to learn more about how we may be able to help you craft similar campaigns for your business.